Despite a persistent fall of fuel prices in the international market, fuel prices in Kenya have remained high, and as Kahawa Tungu learns, the situation might not change any time soon. Petroleum Principal Secretary Andrew Kamau in February 2017 signed an agreement with an Israeli company, Rafael Advanced Defence Systems Ltd. The company would install security system for the yet to be built Turkana oil pipeline, and the current Kenya Pipeline Corporation (KPC) line at a cost of Ksh30 billion. The money would come as a loan from Israeli Bank Hapoalim. The loan according to agreement documents was meant for installation of cameras and leak detectors along the Kenya Pipeline lines to enable live monitoring of activities along it. What raises eyebrows is how the loan was secured, even before the design of the line was submitted. Amazingly, the Ksh30 billion bond is the cost of a security system whose construction cost has been estimated at Ksh100 billion. Worse still, senior government quoted by a local daily could not agree on the status of the loan, one denying the existence of such a loan while the other agreeing to it. Treasury Principal Secretary Kamau Thugge denied the existence of such a loan, while Charles Keter, the Energy Cabinet Secretary, has said the loan negotiations had moved to the Treasury after the February signing. Kamau, who signed the contract on behalf of the Kenyan government, confirmed that such a loan was there, and is being finalised by the Treasury. This leaves Thugge exposed for trying to dupe the media. Also, documents from the Israel company show that he has been copied all communications concerning the deal. According to the Daily Nation, the loan’s insurance is also tied to another Israeli firm — the Israel Foreign Trade Risks Insurance Corp Ltd. The loan has also several other fees attached including a 0.70 percent (Ksh98.4 million) and Ksh78.2 million called arrangement up-from fee. It would also cost the government Ksh120 million payable quarterly in commitment fees. “The loan, whose principal repayments were set at 10 years, would attract an interest at six months London Interbank Offered Rate, an international lending benchmark rate commonly known as Libor, plus 2.6 percent per annum,” reports the daily. 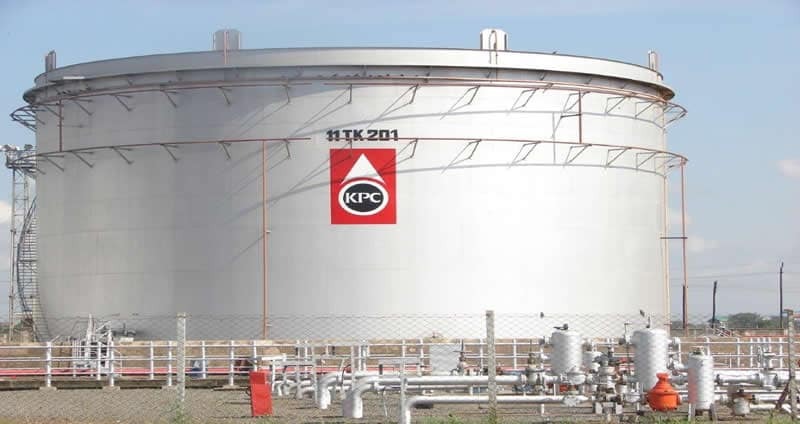 KPC has been excluded from the deal, despite being the direct beneficiary. Kahawa Tungu has learnt that even the senior-most officials of KPC are not aware of the deal. With all these factors combined and being under pressure to meet the loan obligations, the government is expected to use all means to milk the fuel sector in order to remain compliant to the terms of the loan.